Coaching a basketball team can be one of the most rewarding experiences in sports. With a little knowledge of the game and a passion for teaching, becoming a basketball coach can be made easier by completing a certification program. Whether you are interested in pursuing coaching as a career, or just want to volunteer for fun, coaching certification benefits both you as a coach and the players who will be learning the game from you. To become certified to coach at the high school level, you are required to complete courses in the overall fundamentals of coaching, the fundamentals of coaching basketball and teaching skills, first aid and concussion training. The National Federation of State High School Associations offers many of these courses online, which gives you some flexibility for completion. These courses are not only important for certification, but also they aid you in developing an appropriate coaching philosophy for kids and teenagers. The classes teach you not only about coaching basketball specifically but also how to communicate with players and create a positive experience. Following a successful certification program, you will likely face a screening process before being permitted to work with players. Coaches spend a great amount of time with athletes, and many independent youth leagues and public and private school systems require a background check to ensure the safety of all participants. If a candidate refuses a background check or if the check reveals information that may be detrimental, that person will not be given the job. Not all coaches are interested in the rigors of running a high school program and would rather coach as a volunteer on the youth level. Because most youth teams are headed by volunteers, the knowledge and skills of the coaches can vary. There are many alternative coaching education course and certification programs that provide certification for meeting minimum requirements that will allow you to coach a youth sports team. 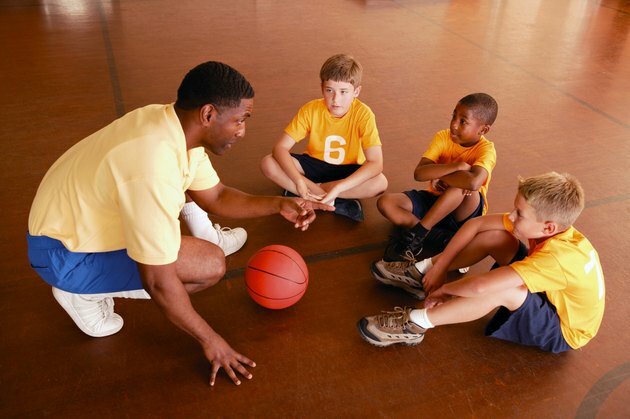 Organizations such as the Youth Basketball Coaching Association, American Council on Coaching and American Sports Education Program each provide alternative certification programs to get you started. The popularity of youth sports means that there are many opportunities to coach a team. Certification levels the playing field and teaches potential coaches a more consistent approach to the game of basketball, which benefits players as they get older and filter into the high school level and beyond. Certification also ensures quality control and lets potential employers know that you have some understanding of the game and are better prepared to coach.